I seem to be writing rather a lot about sociology, in the sense of how different power structures elicit radically different behaviour from the same people. It occurs to me that one of the particular clichés of our culture just now, the stroppy middle class teenager, proves the point even more forcefully. I refer to the teenager who is (a) monstrously badly behaved towards his or her own parents, but who is, simultaneously, (b) much better behaved towards other people. The difference in behaviour is explained by the fact that the parents are defenceless against their own teenagers. Can’t live with them, can’t kill them, etc. In particular, can’t either torture them or else chuck the ungrateful parasites out into the street and slam their front doors in their faces. Whereas, other people can do various versions of this. They can either chuck them out, or shun them. This syndrome applies particularly to middle class teenagers, because their parents are the most dutiful and anti-punitive, hence most defenceless, and because middle class teenagers are quite well educated and have good prospects in the world at large, provided they treat the world at large with a modicum of politeness and don’t completely piss it off. Their parents will forgive them no matter what they do. The world will not be so forgiving. The teenagers know this and act accordingly. Middle class teenagers who are vicious to their parents but nice to others remind me of King Leopold II of Belgium. 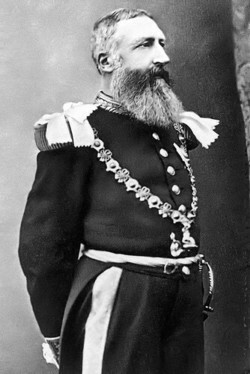 King Leopold II was, simultaneously, a satisfactory King of Belgium, and a spectacularly disgusting ruler of the Belgian Congo, which was his personal possession and in which he murdered and plundered at will. He deserves to be far better known, as the first of the great modern mass murderer-predators, alongside Lenin, Stalin, Hitler, Mao, Pol Pot and the rest of them. King Leopold II behaved nicely in Belgium because he had to. King Leopold II behaved disgustingly in Africa because he could. Exact same principle.